When the best thing that you can say about the latest crop of a long-running video game property is that "the tie-in children's TV show isn't completely terrible," it's not a ringing endorsement. Such is the case with Sonic Boom: after nearly two decades of hit-and-miss remixes on the familiar Sonic formula, SEGA hit a real stinker with the almost universally-reviled Wii U/3DS dual release last year. The "hip" new designs for Sonic, Tails, Knuckles, and the rest of the gang might have been forgiven if the game itself hadn't been one of the worst entries in Sonic's 24-year catalog. 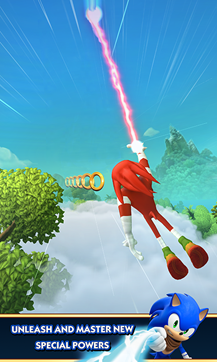 It's odd, then, that SEGA is continuing the "Sonic Boom" label with its latest mobile game, instead of relying on the tried-and-true classic version of sonic that appeals to the nostalgia crowd. Perhaps they're trying to retain some fans of the expensive CG TV show, which as I said earlier, is actually pretty OK (even if Sonic does look like he's cosplaying as Nathan Drake). 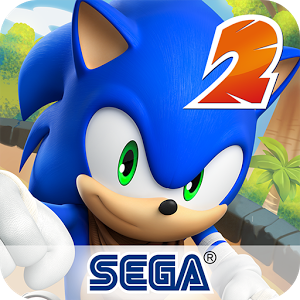 The license extends to the second entry in SEGA's 3D, over-the-shoulder endless runner for phones and tablets, Sonic Dash 2. It gets the "Sonic Boom" subtitle, character designs, and voice actors, in addition to improved graphics and new game mechanics. 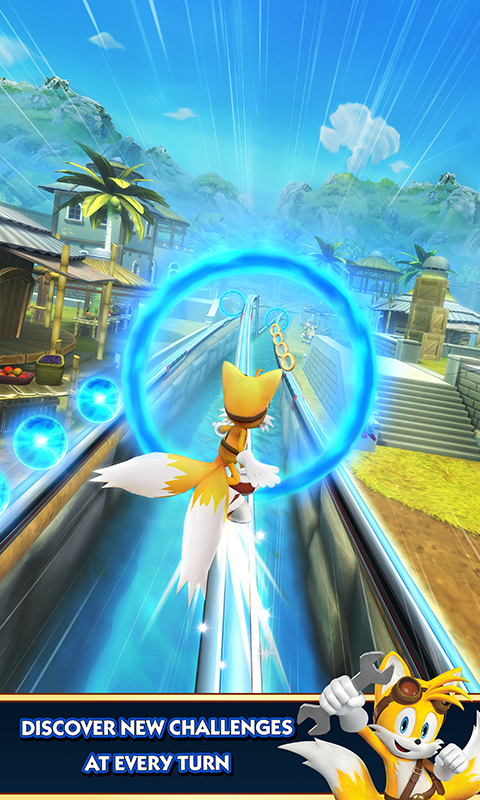 The action in Sonic Boom is reliable, if not outstanding. You run along three lanes, jump and spin-dash at the appropriate times, grab rings and glowing orb things to unlock new characters and limited-use powerups, and use each character's special power at the appropriate moments. The bits where Sonic and company dangle from energy beams with a sudden switch to tilt controls are neat, as is the ability to switch characters in mid-run. The graphics and sound are surprisingly good, too - good enough that you'll need some pretty decent hardware to run it. 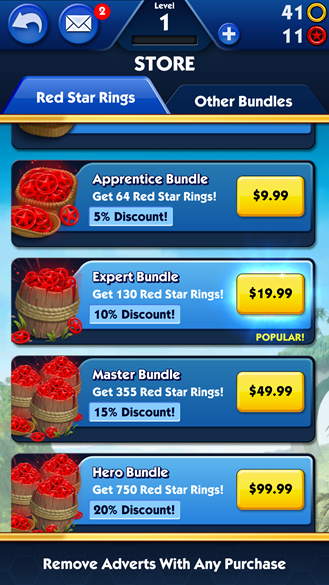 As a free-to-play game, it unfortunately includes $100 in-app purchases (and that's doubly troubling, since the TV show is aimed squarely at kids), but the game itself doesn't seem to require anything more than patience and reflexes to get through the more difficult bits. You also get to banish ads with any purchase. 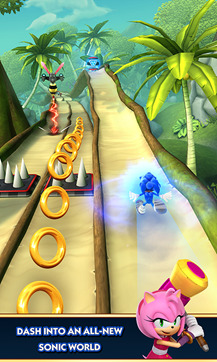 Sonic Dash 2 has been in a geo-limited release for a while, but today it should be available worldwide. It's compatible with Android devices running 4.0.3 or higher, but again, you'll need some decent graphical power to run it smoothly.